The Program Committees are responsible for the development of sessions at the annual conference. Desired committee size of each is 8 to 10 members. Program Committee members are asked to fulfill a three-year term. During any one year, the time commitment consists of attending a one-day planning meeting in March at a Columbus area location (you will be reimbursed for mileage) and then arranging within a few weeks thereafter to find a presenter for one of the sessions proposed by your committee. The arranging consists of email and phone contacts that can be accomplished from your office. You can even network to secure presenters. It is not necessary to have in-depth knowledge of the session’s topic, and you will not be expected to be a presenter yourself. The Four Program Committees and their individual responsibilities follow. Information Systems and Data Management Committee: The scope of topics shall be generally defined to include information systems; data collection; analysis and reporting; admission enrollment reports and institutional studies; and current and future technologies. Contact: Tami Sheets, chair. Professional Development: The scope of responsibility is generally defined to include office management; office organization; and member professional development. Contact: Gina Shackle, chair. Records and Registration: The scope of responsibility is generally defined to include academic calendars; grading policies and practices; records management; and registration techniques. Contact: Mary Holland, chair. The Operational Committees are responsible for the governance and basic operations of the organization. The term of office and time commitment will vary with each committee. Please see the OACRAO Website or contact any Board member for more information. The six operating committees and their individual functions follow. Bylaws: Prepare/revise the OACRAO ByLaws for review/ballot by the voting members. Contact: Beth DaLonzo, Past President. Communications: Coordinate information flow to members via website, newsletter, and printed materials. Contact: Justin Weimer, Chair. Fiscal: Works with the treasurer to develop budgets and fiscal policies. Audits financial standing and transactions on behalf of the membership. Contact: Beth DaLonzo, Past President. Local Arrangements: Plan/make annual conference arrangements. Contacts: Molly McDermott, Co-Chair and Carol Jones, Co-Chair. 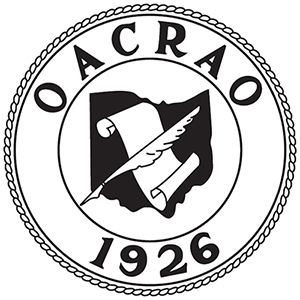 Membership and Mentoring: Disseminate information regarding OACRAO; coordinate new member recruitment, orientation and mentoring activities. Contact: Sun Jamerson, Chair. Scholarship: Select recipients for OACRAO’s scholarships and solicits items for the silent auction. Contact: Kimberly Edge, Co-Chair and Amanda Steele-Middleton, Co-Chair.